Majid Naficy fled Iran in 1983, a year and a half after the execution of his wife, Ezzat in Tehran. Since 1984 Majid has been living in Los Angeles. 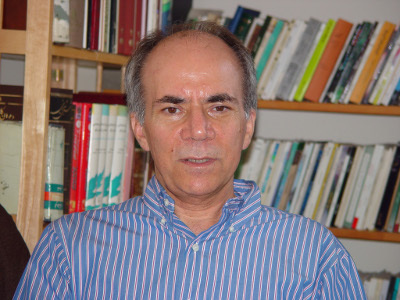 He has published two collections of poetry in English, Muddy Shoes (Beyond Baroque, Books, 1999) and Father and Son (Red Hen Press, 2003), as well as his doctoral dissertation Modernism and Ideology in Persian Literature (University Press of America, 1997). Majid has also published more than twenty books of poetry and essay in Persian.